Congratulations to Ruth Hill who passed her County Judging assessment at the Lancashire Archery Association Championships this weekend and Jean & Roger Stretton who both passed their Regional assessment. 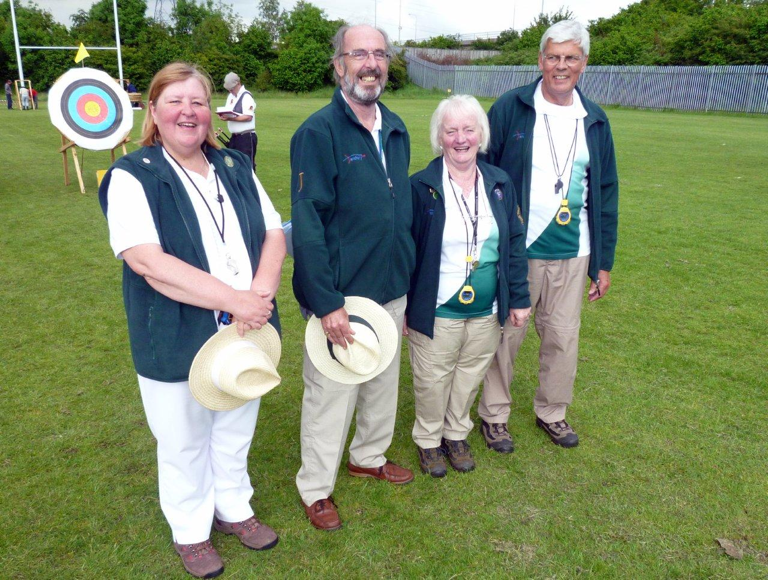 Jean and Rogers experience in Archery goes back many years, from members of Rochdale Company of Archers to being involved with the Lancashire Archery Committee where Roger was Chairman. Their commitment to Lancashire County has never waned and with this in mind and at the time there only being two Judges in Lancashire decided to offer their support as Judges. Roger is an expert on marking out the field for a tournament with Jean to assist and fair weather or foul as it was this weekend will always be there the evening before the LAA tournament to help set out the field. Jean has a particular fondness for Judging Clout and the Junior Tournaments and has a great rapport with the juniors ensuring that there is always a fun element to the tournament. Twelve months ago Ruth expressed an interest in Judging and became a candidate Judge over that time Ruth has shown great enthusiasm to Judging and has gained experience in Judging both Target archery and Clout not only in Lancashire but in other Counties as well. Both Ruth and John Davnall recently stepped in at short notice when Lancaster University requested Judges for the student outdoor Fita Tournament, this was greatly appreciated by the students and myself. 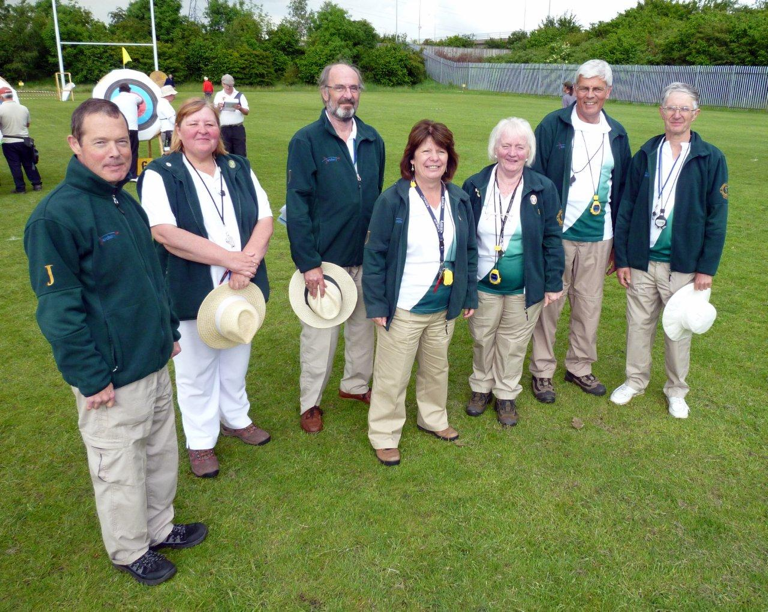 Ruth is a member of Chorley Bowmen as well as secretary and plays an active role in hosting tournaments at the club. Whilst three Lancashire Judges took their assessments and passed the Lancashire Tournament played host to John Cunningham a Cheshire Judge who also took and Passed his Regional Assessment.